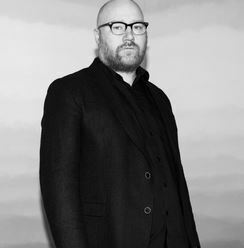 Johann Johannsson ditched formal music studies as a teenager to play rock guitar in Iceland’s experimental scene. Johannsson’s sound palette has since expanded from feedback-drenched guitar layers to full symphony orchestra and the self-taught composer has produced five albums and 27 films scores. Johannsson will bring his hypnotic blend of acoustic and electronic music to the Chevron Festival Gardens on February 29th. The 46 year old honed his craft in Reykjavik creating unique hybrid art events with artists, musicians, dancers and actors. He began a self-guided exploration of music theory and classical orchestration after discovering the ambient music of Brian Eno. The result was a layering of electronic and acoustic sounds into a spacious minimalist sound world. 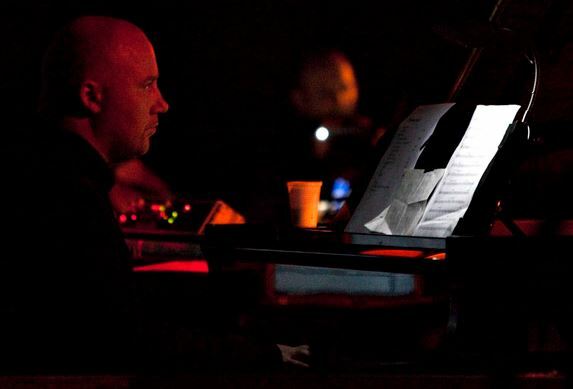 Johannsson’s evocative electro-acoustic sound palette and interdisciplinary experience made him well-suited for film music. His music for the 2014 film The Theory of Everything directed by James Marsh won a Golden Globe for best score. Johannsson’s distilled musical ideas added lyrical emotion to the story of physicist Stephen Hawking and his relationship with Jane Wilde. The film was a critical success and won a Golden Globe for best actor (Eddie Redmayne) and best score. The music takes on a darker more menacing tone in his most recent score for the 2015 action thriller Sicaro directed by Denis Villeneuve. But Johannsson says the composing process is always the same. He goes for walks, similar to Ludovico Einaudi, the Italian film composer to whom Johannsson is sometimes compared. When ideas come he sits at the piano to expand on them then arranges and orchestrates at the computer. No idea is ruled out which results in some intriguing creative dichotomies. It is not just the dialogue between acoustic and electronic sounds but the counterbalance in for example Englaborn where an AppleTalk voice recites a Latin poem in a compelling mix of ancient and mechanical. Or the contrast between the lo-fi washed out Super 8 footage of Antarctica and the vivid layered soundtrack in End of Summer, a movie filmed and scored by Johannsson. And scattered through all of his music those moments when a monotonous drone or repetition subtly changes notes and abruptly becomes a gulf of emotion. “Careful gestures, simple tools and a good mind are all Johannsson needs”, wrote a Pitchfork critic. And it is a winning formula. Film directors March and Villeneuve have requested the composer work with them again on new films in 2016. 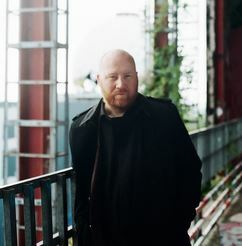 Johannsson also plans to release his sixth album in (northern hemisphere) autumn. He will start the year, however, with his first trip to Australia where audiences in Perth and Adelaide will hear him up close and personal. Johannsson will be straddling piano and electronics accompanied by a string quartet of local players. It is a format he has been using for live shows since his album Englaborn.